The May Art Walk will be held May 7th from 5:00pm to 8:00pm at the shops and galleries on Public Square, Franklin Street, and Strawberry Alley. Downtown Artists Co-op (DAC) is proud to announce an exhibit of fine art by Leslie Campbell and Steven Walker. The opening reception for this extraordinary exhibit will be on May 7th from 5:00pm till 8:00pm. Steven Walker is a fourth generation Texan who grew up in Seguin, TX. As a young child, Walker developed his love for art as a result of his mother often taking him to galleries and museums. Walker attended Texas State University in San Marcos, but didn’t complete his degree at that time. Nevertheless, twenty-seven years later Walker returned to college to complete his BFA in studio arts at Austin Peay State University in Clarksville, Tennessee, where he still lives and works. DAC will be open Noon-4:00pm, Wednesday-Friday and 10:00am-6:00pm on Saturday. See our website at www.downtownartistsco-op.com or visit us on Facebook for more information. This month’s exhibit is on display May 6th-30th and is sponsored by The Framemaker, Sango Fine Wines and Sprits and a number of our other patrons and sponsors. 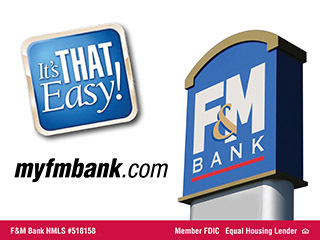 F&M Bank is proud to host local artist, Larry Martin in the Franklin Room from 6:00pm – 8:00pm during the May First Thursday Art Walk. Richly colored jazz paintings, bold and dynamic abstracts, cool and serene landscapes, peaceful and sometimes stormy seascapes, sunrise. sunset, strange and odd combinations that pop! These are some of the varied subject matter that I present in oil, acrylic and watercolor mediums. Ever wonder what you’ll do when you retire? Well, painting was probably not on my bucket list, but thanks to our daughter it has become an important and rewarding part of my daily life. Following her tip about free chasses at State Universities in Tennessee for Seniors, I began painting at age 65 and sold my first painting at a gallery for $1800.00! That was the beginning of my art career – the year was 2004 and my age was 66. —-The band was playing ‘Who’d-a-thought-it’. Having been a never-gave-up-my-day-job musician, playing in bands and piano bars from Boston to Bangkok for most of my adult life, I was initially drawn to Jazz renditions, and later got into abstracts, landscapes, seascapes and Florals. I say that painting is kind of like playing bridge, another of my retirement pastimes – I became a Bronze Life Master in 2012. Each painting, like each bridge hand, is different and you never play the same hand or paint the same painting twice. That’s what keeps you coming back, the challenge of creation and the belief that it will be worth it. I hope you enjoy my art as much as I enjoyed creating it! The Roxy Regional Theatre’s Peg Harvill Gallery will once again feature the work of local artist Beverly Parker during the May First Thursday Art Walk. Gallery hours during Art Walk will be 5:00pm – 6:30pm due to a performance of MARY POPPINS. Additional gallery hours are Monday through Friday, 9:00am – 2:00pm. For tickets to and information about our current productions of “Mary Poppins” please visit www.roxyregionaltheatre.org or call the box office at 931.645.7699. Preview some of the art that will be available for auction at our annual fundraiser Flying High, on display in the lobby. The Framemaker proudly presents “Light Intertwined: New Work by Peggy and Stuart Bonnington” This exhibit is part of Clarksville’s First Thursday Art Walk on May 7th, 2015. An opening reception will be held from 5:00pm to 8:00pm. The exhibit will remain on display at The Framemaker throughout the month of May during normal business hours (Monday through Friday 10:00am – 5:00pm). Stuart and Peggy Bonnington are a husband-and-wife team of artists. They married in Peggy’s hometown, Chattanooga Tenn., and moved to Clarksville, Tenn., in 1987. Together, the couple’s work shows how they find light and balance in life through joyful dedication. Stuart Bonnington was born in Leeds in Yorkshire, England. He was raised from age two in Rochester, NY. He took a job as a psychology professor at Austin Peay State University (APSU) in 1987. Stuart plays the banjo and guitar and is an accredited teacher of Qigong and Tai Chi. He teaches classes at the Cabin Studio at his historical home, “Benfolly,” as well as at the Foy Center at APSU, the Crowe Center and The Yoga Mat. He is retiring from APSU this spring. Rogate’s Boutique will stay open late during the May First Thursday Art Walk. Stop in and check out the great ways to transition your wardrobe from Spring to Summer! Mildred and Mable’s will stay open late during the May First Thursday Art Walk. Stop in and check out all of the great gift and clothing options to swing you straight into Summer! Couture Crush will stay open late for the May First Thursday Art Walk. Cloud 9 is happy to join in the festivities of the May First Thursday Art Walk. Stop in and enjoy a cup of coffee and dessert for just $6.00. Take advantage of the evenings special wines and martinis for just $5.00 and well as their featured appetizer specials! Hops Road, located on Strawberry Alley in Historic Downtown Clarksville, is proud to join the May First Thursday Art Walk. 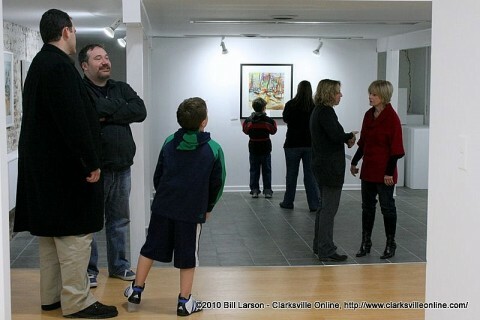 Stop in, grab a bit to eat and check out some of the great local artists that Clarksville has to offer. Edward’s Steakhouse is proud to host local artist, Susan Liberatore and her show, Visions2images, during the May First Thursday Art Walk. My three greatest strengths are invitations, design, and photography. I am always up for a challenge and find it rather hard to say no to a design project since they always lead to artistic and personal growth. I am always up for a challenge that is outside of my comfort zone. I enjoy creating branding identities. Branding identities go beyond the basics of a logo and letterhead, it is the brand that is everywhere around us. The feeling when a brand is recognized in print, web, and digital media is one of the greatest feelings. My favorite projects I have done thus far are creating event-specific invitations, cards, and stationary. Creating these cards is right up my alley, I always love attending events and looking at the completed design. These cards created serve as a memorable keepsake that can be used later to remember the event. I am at my creative peak when problem solving, rising new challenges, and leaving my comfort zone. These situations force me to think in new ways, and I am always pleased with the results. I intend to continue to push my limits in an effort to create even more inspired work.